Students in Maryland’s 5th District are invited to compete in the fifth annual Congressional App Challenge, hosted by Congressman Steny H. Hoyer. Congressman Hoyer (Md.-5th) announced the 2018 App Challenge in a news release. The competition is a great opportunity for students in the Fifth District to showcase their programming skills and gain hands-on experience building apps. “Programming skills are in high demand in our nation, and we must continue to encourage students in Maryland and across the country to consider careers in computer science. I encourage all eligible students in the Fifth District to compete in this year’s app challenge, and I look forward to seeing what our students create,” Congressman Hoyer said in the release. 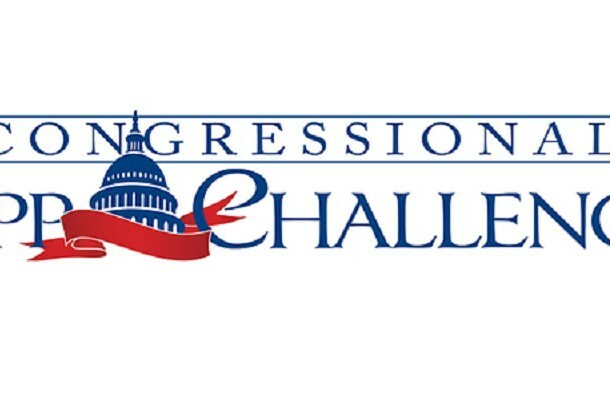 First created by the US House of Representatives in 2013, the Congressional App Challenge is a nationwide event that invites students from every congressional district to compete, either individually or in a group of up to four, by building and presenting an original software application, or “app,” for a mobile, tablet, or computer platform of their choice. The goal of the contest, which is modeled from the long-successful Congressional Art Competition, is to promote engagement and innovation in the STEM education fields. The Congressional App Challenge is open to middle school and high school students living in or are eligible to attend public schools in Maryland’s Fifth Congressional District. Entrants must submit source code along with a YouTube or VIMEO video explaining and demonstrating their app and what they learned during the competition process. The submission deadline for the this year’s competition is Oct. 15, 2018. Students should register and start work on their projects as soon as they can. The winning person or team will be recognized at an awards ceremony with Congressman Hoyer, featured on hoyer.house.gov and CongressionalAppChallenge.us, and the winning app will be on display in the US Capitol alongside winners from all over the country. More information on registering, submitting a contest entry, the rules of the competition, and helpful programming resources can be found on the App Challenge site. For more information about House Democratic Whip Steny H. Hoyer, visit his Leader Page. You can also follow Congressman Hoyer on Facebook and Twitter.